Back in the old oilfield days, the working hands referred to their daily materials as "rope, soap, and dope" items. The rope was used for hoisting the materials up to the derricks and platforms, the soap was used to clean tools, machinery, and themselves, and the dope was grease, lubricants, and fuel to keep the machines running. 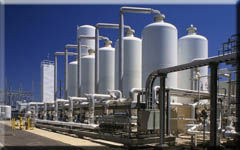 The term is now generic to the daily needs in the oilfield, refinery, chemical, fabrication, and manufacturing industry. These daily needs have changed as times changed. Rope, soap, and dope items now include pipe, flanges, fittings, valves, safety goods, and the list goes on and on. Supplying these needs to companies requires a company dedicated to servicing the industry; RSD Supply is that company. RSD Supply started out as Rope, Soap, and Dope, Inc. back in 1991. They began by servicing the oilfield industry and branched into fabrication and manufacturing industries. The goals have always been to provide great service and competitive pricing to their customers. Whatever your needs are, RSD Supply strives to meet them. We have a large inventory of flanges and fittings as well as studs, gaskets, forged steel, hammer unions and valves located in northwest Houston just off of Beltway 8 and Hwy 290. All of this are housed in our 15,000 Sf warehouse facility. We can supply your needs in a timely manner and at competitive prices. Most orders are delivered within 24 hours ARO. There are no delivery fees, pallet fees, or wrapping fees. Those services are part of our pricing with each and every order. RSD Supply is a service oriented company!!! !